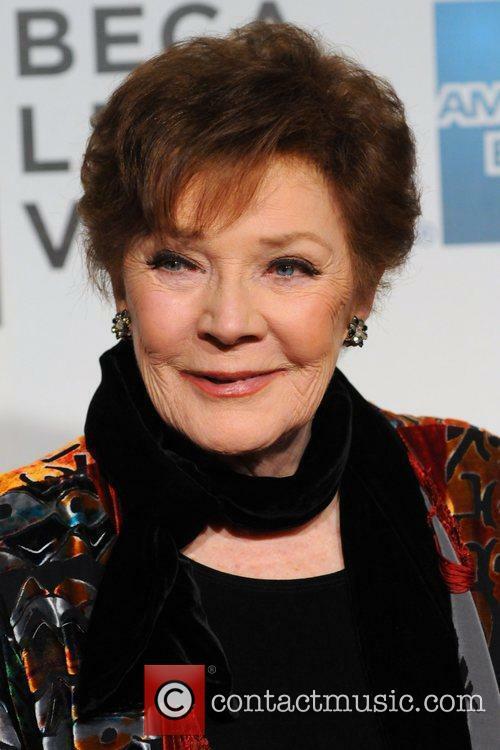 US Actress Polly Bergen has died at the age of 84. Polly Bergen, the US actress best known for her roles in such classic films as Cape Fear and for her television appearances on The Sopranos and Desperate Housewives, has died at the age of 84. Polly Bergen has died at the age of 84. Bergen was born in 1930 in Knoxville, Tennessee. Her career began in the late 1940s and she became a household name when she starred in The Helen Morgan Story, for which she won an Emmy award in 1958. Gregory Peck, along with a host of then-unknowns, star in this Korean War melodrama, about the taking of an unimportant hill on the eve of the end of the war. According to the production notes, this film is absolutely true, and it paints a disappointing picture of the bureaucracy of the U.S. Army and what it will do to "save face." Good film but not exceptionally memorable 40 years after the fact. 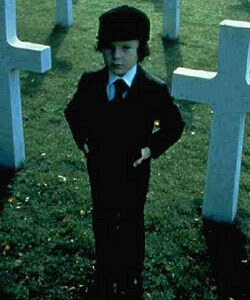 The Omen is not as serious a movie as it appears. Coming to the modern audience as the infant in a Holy trinity of satanic, apocalyptic horror films, including The Exorcist and Rosemary's Baby, The Omen arrives leaden with reputation and expectation. Its story is renowned, its sequences remembered, and its delicious score is an iconic pop-cultural phenomenon. On the surface of things, Richard Donner's film matches its Trinitarian peers shock for shock. However, as little Damian proves, not everything is as it seems. Though garbed in the accoutrements of its satanic predecessors, it is at its core a story of gross implausibility and squandered potential, a schlocky piece of fluff shot and cut with unwarranted earnestness. When poked and prodded, when the hair is cut away, the film is essentially a pretty good bad movie. 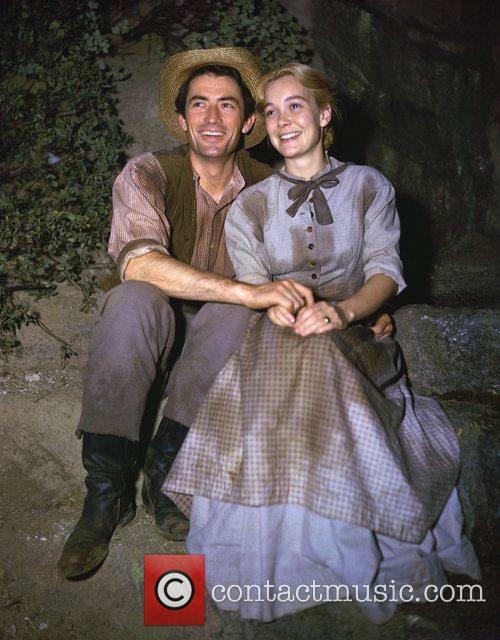 The story of the devil's son born to the American politician begins with a moment that only reveals its ridiculousness in retrospect: when Ambassador to Italy Robert Thorn's (Gregory Peck) first-born dies moments after birth, he is offered, and accepts, an abandoned child as replacement. He does this so that his wife Katherine (Lee Remick) is spared the torment of the death. I know politics is pragmatic, but really. With any moral quibbles twitched away by a few hard long stares, the Thorns take up shop in England when Robert receives a promotion. The years pass in dreary montage and Damian (a creepily cute Harvey Stephens) grows to age five in blissful British tranquility. Naturally, when his nanny (Holly Palance) hangs herself on his sixth birthday, announcing "It's all for you Damian," things change. Never mind the unfortunate title, this ain't Frankie and Annette. On the Beach is a movie that begins with the apocalypse: Nuclear war has wiped out the entire world except for Australia. (They were making movies like this in 1959???) It's here we find a U.S. submarine hanging out amidst Aussies living their lives, pretty much as normal only with less booze. The catch: Everyone knows the end is coming, as nuclear fallout makes its way across the Oceans, due to arrive in a month or two. But what's this Morse code signal coming from San Diego? Could someone be alive and transmitting? The sub's off on a recon mission to the wasteland, and meanwhile the Australians come to grips with certain death in a matter of weeks. While heartbreaking and touching, it's hard to imagine that riots aren't rampant and that martial law isn't required, but hey, it's a movie, and quite a good -- if overlong -- one, at that. You've heard of "the man in the gray flannel suit." He's the workaholic office drone who commutes into the city every day and struggles wearily to climb a daunting corporate ladder while dealing with petty office politics. In The Man in the Gray Flannel Suit, Gregory Peck plays Tom Rath, that quintessential '50s organization man, an archetypal tormented post-war striver and father of the baby boom who wonders if he's making the right choices... or if he has the freedom to make any choices at all in his conformist world. A Madison Avenue advertising executive, Rath lives in a comfortable Connecticut bedroom community and commutes in and out of the city, leaving him little time for his wife Betsy (Jennifer Jones) and his funny, television-addicted kids. Betsy, who in typical '50s suburban style is deeply concerned about keeping up with the Joneses, pushes Rath to find a better job, and he agrees even as he realizes that more work and stress is not what he wants. In fact, he's heading toward what we now call a mid-life crisis, although they didn't have a word for it back then. Spellbound lands as one of Hitchcock's classics but it's far from his best work. The entire plot is one of Hitch's more absurd (adapted from the novel The House of Dr. Edwardes). Back in 1945, the idea of psychoanalysis was just coming ito its own. Freud's ideas had really taken off, and wouldn't you know it, the time was right to make a movie based on the notion. One can't help but wonder how Roman Holiday would have been different is it was made today instead of in 1953 (Mr. Deeds aped Holiday more closely than its ostensible source material). The Gregory Peck-Audrey Hepburn classic features a reporter in Rome (Peck) and an incognito princess (Hepburn) -- with both pretending they're someone else. Of course, he knows she's playing hooky from her royal family and he's out to write the story of a lifetime (with photographer pal Eddie Albert in a priceless role). She on the other hand is oblivious to what's going on. She wants to have a little fun outside the watchful eyes of her keepers. Of course they fall in love along the way. 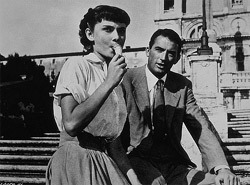 Roman Holiday is one of the most beloved of both Hepburn's and Peck's films, a lovely little romance, full of fun and playfulness, stellar performances (Hepburn won an Oscar and Albert was nominated), and all set against the beauty of Rome. Many of its scenes are nothing short of priceless: the ad-libbed moment when Peck sticks his hand into the mouth of a statue and pretends it's been bitten off (sending Hepburn into hysterics) is absolutely unforgettable.